MOLICHINO: THE WAIT IS OVER!!! Well we are opening just a little bit earlier than planned but that's good news right?? Today we open the doors to our brand new MOLiCHiNO Flagship store!! It is so very exciting! We have plenty of new items in store for you to mark the new opening! The long boho-style Miljay skirts can be easily paired with our Sally Turtlenecks! If you get especially cold this winter, you can add our new Jamie poncho's over the top! Perfect match for the Miljay Skirt or Linum pants! There are also some cute tights to wear under anything that will be sure to keep you warm and cosy! If you want a bit of style, we have some metallic skirts! The Dee Dee Skirt is sure to make you shine while staying stylish! When matched with the new Kelvy strapless top and Bindi Belt, you can take this look straight from the workplace to the office christmas party! Easily add the Alana Coat over the top and you're set!! All the old favourites are still available at the new location!! And keep a look out, MOLiCHiNO is participating in it's first hunt starting 1st December!! 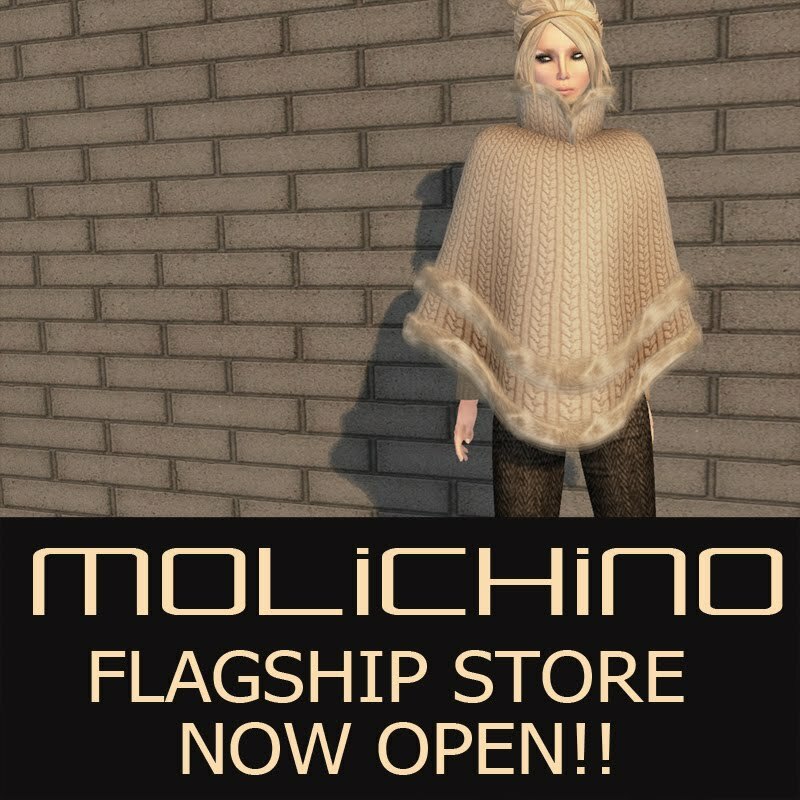 MOLiCHiNO FLAGSHIP STORE OPENING SOON!! !